This transcript was automatically generated. Please review the audio for accuracy. CHIP: Hello and welcome to another episode of the podcast. I’m Chip Griffin and my guest today is Craig Carroll. Craig is the executive director of the OCR Network. Welcome to the podcast. CRAIG: Thanks. Great to be here with you today. CHIP: It is great to have you here. Uh, uh, Craig and I have known each other for many, many years and we’ve had lots of great conversations and I’m looking forward to the next half hour. We’ll, we’ll have a chance to explore a lot of different topics, but perhaps for our listeners, why don’t you explain what the OCR network is first of all. CRAIG: Got It. Sure. Yeah. So, um, the OCR Network is a, uh, it’s a think tank here in New York City devoted to the function of corporate affairs and uh, well, fortune 500 and the Global Forbes 2000 companies. And OCR stands for the observer term corporate reputation, which obviously just doesn’t roll off the tongue. Right? But, uh, uh, that was a, that was a research group we had at the University of North Carolina at Chapel Hill where I taught, uh, about 10 years ago. And uh, it was kind of European model actually, so I’d been doing some work with some universities overseas and the observatory was a interesting model for, uh, for research units within universities that focused on observation rather than experiments. And so, uh, after seeing a couple of those groups at the University of Zurich and a few other places, I, that man, that’s kind of an interesting way of thinking about, uh, studying organizations and communication. So, um, what I was trying to do something at Chapel Hill, it, uh, we went with that since my research area was corporate reputation at the time. CHIP: So obviously you spend a ton of time looking at corporate reputation amongst some other topics that will also get into, you know, what are you seeing as the sort of the, the, the key issues confronting a, the, the corporate reputation field today, both in terms of, you know, what, what, what trends you’re seeing that are impacting corporate reputation and what trends you’re seeing as far as how people are working to protect her, improve their corporate reputation. CRAIG: Right. Okay. Oh, good question. So first of all, just the fact that reputation is a trend to become so much of a trend to become such a fashion topic, then it’s lost its meaning and value, right. And uh, you know, it, it seems to be the Buzzword for saying whatever the heck you want to say about coming right now to be fair, that’s for me, that’s actually the most fascinating thing about it. And one of the reasons why I got into it was, you know, coming out of a journalism school and being fascinated with history, it seemed to be like the word to study the life of companies, right? That it was something everybody understood, everybody can talk about you, you might not know about a company’s products or services or personally how well a, you know, a, a, a, a company’s employees are treated or how, uh, how talented the war, but reputation is that you could talk about it, right? CRAIG: You can talk about what you heard or what you knew and uh, so that was, that was fascinating to just go whatever direction you want it to go. Um, but in terms of today, it’s, it’s, it’s, it’s, uh, it’s become such a topic of, um, people saying whatever the heck they want to say and just call it reputation because people will stop and listen because they think it’s something that they need to know. Uh, but, but trends, um, I would say I’m one, right. It’s become a little bit of a, kind of a drama term, right? When we talk about reputation change a little too much. I think like, we’re, we’re fascinated with companies and crises and companies caught up in scandals that we were speculating. Um, that’s not necessarily right. CHIP: Right. And going to corporate reputation I think became more part of the lexicon, you know, after Enron, Arthur Andersen, you know, a few of those things where it, that at least in my mind, that’s sort of where there was this pivot in the way people thought of it. But it’s, but it’s always thought about or not always. I think it’s frequently thought about in those dire terms. Right. But those, you know, corporate reputation is so much more than. CHIP: create the desired change, right? For where they want it to get, where they want the company to go. So you know, a lot of companies have these, I guess I would call them, for lack of a better term, lofty ambitions for their corporate reputation. You know, the Google’s do no evil, right? Which is a, I thought that was sort of a silly thing to say, right? I mean it’s just, it’s, it’s so nebulous that what does that mean? Nobody wants to do evil. Right? So, so what’s going to be reminded of that? A lot of people stumble into evil, but you know, very few people set out to do so. So for your moderate to be do no evil, I’m not sure I really understand that. But, you know, as, as, as companies do have these lofty ambitions for what it is that they’re trying to achieve with their reputation, you know, is it, is your perspective that, does that, does that make sense? Does it make, you know, do people need to be more practical in their ambition? You know, what, what, what’s your general take on sort of matching the goal? Um, you know, with what’s actually achieved. CRAIG: Oh, to that is I gotta tell you that is such a, such an important question. Right? So for, you know, so one of the things about it, when you think about a reputation versus like mission, purpose, identity and values and so on, is that, I mean really those are the things that companies are concerned about is their core values and their purpose and what they’re about. But what’s interesting about reputation here is we connect it to these ideas here is that, um, reputation is almost like a form of accountability, right? So when you think about mission, purpose, ideals, what accompanies about companies with those really tight, even the most noble purposes, uh, such as do no evil or maybe something a little bit more inspirational sometimes. Sometimes those companies don’t listen anymore. They’re so caught up in who they are and what they’re about, that they don’t give a hoot about what anybody else thinks. CRAIG: Right? And so companies who connect to reputation to identity in that sense, they seemed to at least be open to outsiders views for people outside the company to be able to talk about it, critique it, and so on. And so for me, what is fascinating and so important about connecting reputation to those areas is that reputation then becomes feedback on those right to say how well they’re living up to that ideal that they set up. So that, for me, that’s part of what it is, is just keeping the conversation going and being open to the degree that they’re materializing the, the desire, desired legacy that they want to have. CHIP: Well, I think you’ve touched on something important there when you talk about, you know, sort of living up to the goal or the ambition that you set because you know, we as communicators do tend to think of corporate reputation first and foremost from the communications perspective, but it all is driven from the operation is that you can’t separate the two, right. You know, you can’t go out and, and use good communications to varnish over ad operations. So. So how do you as a communicator though, how do you advise people to think about that? Because communications has limited ability to influence operation in many companies. So, so how, how, how do you make sure that there is some, you know, real connection, those two so that, you know, you don’t get caught out saying one thing. Yeah. CRAIG: way of putting it. Yeah. And I think Laura actually, we haven’t really responded to the occasion yet. Right. So it’s certainly important to, to, to raise the level to the executive level and race the aspiration. And I think now we need to deliver on it, right? It means thinking and acting like an executive being an executive, right? So it’s a, it’s a completely different mindset, a completely different set of behaviors. And we’re going to have that title. It’s a little bit more than a job title. People fulfilling that function have got to deliver on that function and I think we haven’t completely made the shift and our own identity and our own understanding what that means to be an executive and to understand who we are, what we do in that role. So that’s, that’s one of the things that we have to fulfill moving forward. CRAIG: right? Yeah. So, uh, so we have a lot of various there. So I guess part of this at the Bob, the sounds so obvious, right? That we can’t separate measurement from communications and yet somebody, communicators don’t take the time to measure or to evaluate a. But for me it’s, it’s the key to understanding the value of communications in the first place. And so for me, measurement first and foremost is taking. It’s the way we take an abstract idea and we make it a reality, which that’s the central idea of what communications is, right? It’s taking those intangibles and finding ways to make them not just measurable, not just valuable, but how do we, how do we turn it into reality, how do we, how do we make this happen and how do you, uh, you and I both agree that this is what we’re seeing. So where I see it going is that communicators are starting to realize that, that it is about the conversion of words into reality and, and so it helps us with the c suite and, and other people, uh, you know, at the, at the board level is getting clarity on what the most important things are and then how we materialize those most important things that don’t really curse or measurement. CHIP: So would you, I mean, it is your, you know, feel from your conversations with fortune 500 a CCOS that, that, that measurement is high on their radar. Is it a checkbox? Is it 50 slash 50? You know, some, some care about it. Some are like, well, you know, I look it up to my job every day, you know what I mean? How are they seeing it today? CRAIG: Well, you know, that’s a great question. I’d say they’re all over the spectrum, but the ones that are really leading the charge on it, I wouldn’t say keeps them up at night. Hopefully they got more important things, keeping them up at night if they are up at night, right. I’d say get to bed by 10, you know, that’s your daily medical advice from Craig Carol. Absolutely get to bed by 10, right up by up by four or five. But, uh, um, but it, but it is important and it, and it drives. So, so I would say that those who are leading the charge, that is one thing that I’m hearing a lot of them talk about because it’s the way of, of holding themselves accountable. It’s how they, it’s how they develop, it’s how they build a team and it’s how they connect to everyone else. So every other conversation that we gotta have a connecting comms to all the other functions at the, uh, at the c level, uh, begins with measurement of some capacity. 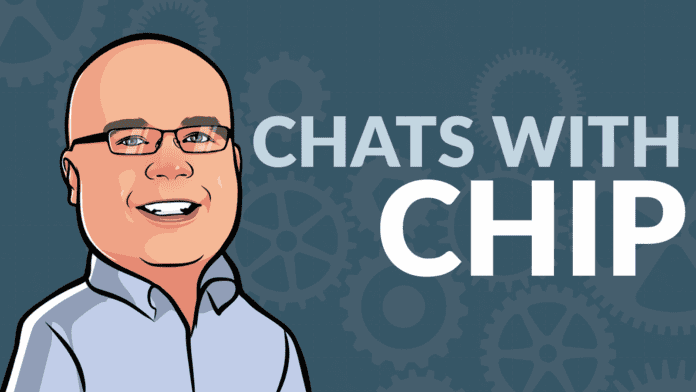 CHIP: So, um, you know, when you’re thinking about reputation and measurement and all these things, you know, I think one of the challenges that a lot of folks have today are in the world of social and digital media. You know, you’ve got the possibility for a, a crisis of reputation to break out at any moment. And, and yet it’s often difficult to tell, you know how serious it really is, right? Because I know we often, you know, those of us who spend any time on twitter in particular, we’ll see things just, you know, quote unquote blow up on twitter, but they often dissipate just as quickly. Um, how are our CCOS dealing with that? How are they making the assessment, okay, this is something we need to really react seriously too. This is one we just, you know, we just need to not make worse because I think plenty of times the companies are making things worse in their responses and probably would do just as well to do something short, sweet and let it largely blow over. CHIP: measurement just because I want to follow that thread a little bit because I think it’s, it’s an interesting point. Would you say that, that most of the Ccos you talked to, what it would agree with that sentiment or do you think you’re an outlier in that? CRAIG: Uh, you know, um, maybe we’ll get some feedback on that from this, uh, from the, from this podcast here. So I would hope that if they are a part arsonists that it’s intentional, right? The last thing that we want are bumbling around in the role creating fire so that realizing it. So yeah, you don’t want to be an accident. That’s right. That’s right. That’s right. But I do think we have a few accidental arsonists out there. Right. So now it’s turning it from accidental or intentional. 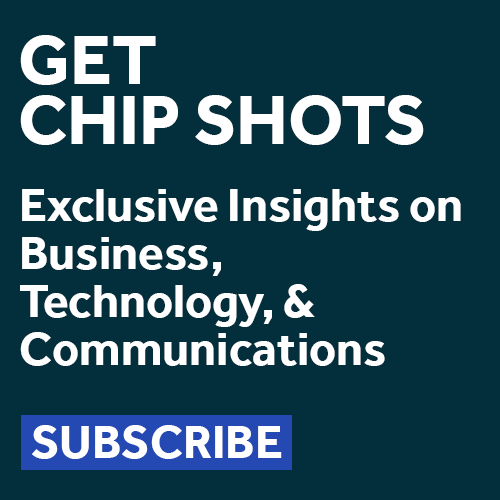 CHIP: Well, I think it’s tough, right, because I think, you know, part of it is that, uh, you know, communicators, whether they’re on the agency side or the corporate side, you know, they internalize their clients, their employer, and so anytime they see a threat to it, they know that there’s, there’s a tendency to react, right. Um, and, and there’s a tendency to take it personally and that’s, that, you know, that I think that’s when you ended up becoming an accidental arsonist because, you know, you become emotional in it. And I think that, uh, you know, it, it, it’s as a communicator, you need to know when to deploy emotion. Um, and it’s, it’s, it’s not in the decision making. CRAIG: I think part of that we often need to learn to know when to pass and when to pause. Right. And that’s, that’s part of communications to just like don’t do anything stupid, don’t do anything, wait and get through. Sometimes have that moment of silence. People don’t know what to do with it. It’s like, you know, it doesn’t mean you’re not doing anything. Well, that’s, I’m going to, now we can tie it back to measurement, right? Sometimes we’ve got to be able to show the value of silence or the world what that, that moment of the absence of noise looks like and what is the value of that when people get to go back to the mundanity of their jobs through routines of their jobs. CRAIG: I’m wanting to see measurement go, right? Because, uh, that what we’re getting into is the old president Eisenhower’s quadrant two, or Stephen Covey’s talked about the, uh, the important but not urgent, right? So it’s where we can begin thinking about, uh, planning, uh, being thoughtful about our purpose, being proactive, focused on, uh, relationships in routine. So I do think, I do think we, we can quantify it, but we first have to think about, okay, what are the important things about who we are, what we want to be in being intentional and thoughtful and conscientious and starting there, right? That then we can realize, oh wow, we, we actually can measure that, right? But we have to first agree that that’s important and being thoughtful and being packing by design and if we can create that as a, um, as an ideal that we can achieve, that we can start looking at, okay, uh, did I, did I get to actually work my plan that I get to do what I set out and designed to do versus always responding to the emergency. So, no, we’re not currently measuring it. Yes, we can if we put some time and start shifting it to a higher level, things about what’s most important. CHIP: Well, I think that that planning piece is just so important. The planning drives communications, but it really drives measurement and evaluation because if you don’t have a plan then you know, you don’t really have anything to measure against. You can sort of, you know, you can do counts and amounts and things like that, but it’s not really telling you how you’re performing against, you know, whatever it is that you’ve set out to do so you know, it, you’ve got to start with that planning in the communications process and make sure that you’re consistently referring back to it both in your actions as well as yours. CRAIG: in terms of connecting into crisis, it’s by saying and being very clear, okay, my role as a communicator is to help you be clear on who you are and what you’re about so that you can connect it to your audiences, the people that you want to galvanize around your purpose, right? By starting there at that higher level, um, we can actually measure that, right? So we can measure the, um, do you have a purpose? Right? Are you clear about your purpose? How much time are you spending thinking about your purpose and what’s the gap between, um, that design that you have and the time that you spend materializing it too, right? So, um, that’s where I’m taking the measurement can go, should go, and it’s, it’s a way of tapping into the, um, the absence, right? And the silence and the mundanity rather than responding to crises all the time and showing actually there are some ways that we can measure these things. CHIP: So do you think that corporate reputation is, is more important today? Less important today or the same as it’s always been? CRAIG: Well, it certainly more important than it’s been in the past, so I can’t really say it’s the same as it’s always been and we certainly go through cycles. Right. So I mean I’m. CHIP: and I couldn’t agree more and I think that’s a perfect note for us to, to wind up on. I know that you and I could go on probably for several hours here, but as my listeners know, I try to keep these conversations to 30 minutes or less, so. Very good. If people want to find out more about you and your work, where can they find you online? CRAIG: Oh Geez. Okay. So, uh, actually I just launched my website craigecarroll.com — two R’s, two l’s and of course the OCRnetwork.com. That two to two very easy ways to find me online. CHIP: Fantastic. Well thanks for joining me Craig. I think it’s been a, a very enlightening conversation. Hopefully the listeners took a bite out of this and certainly be interested to hear from you listeners what you, uh, what you think about some of the things we talked about. CRAIG: Yeah. Yeah. I’m looking forward to seeing what the response is either through the comments on the podcast or you know, shooting an email. CHIP: Fantastic. And how can they find you on email? CHIP: that’s simple enough. So once again, if you’ve listened all the way through, thank you very much. We appreciate your time and I’ll be back with you on the next episode.